How do I print or export a quiz? Any lesson or end of unit quiz on CodeHS can be printed, saved as a PDF or saved to Google Drive. Note that this is feature is only available on Pro. There are two ways you can find quizzes. First, you can go to your Student page and access the quiz directly from that page. You can also find all of the end of unit quizzes on our Assessments page at https://codehs.com/teacher/assessments/. 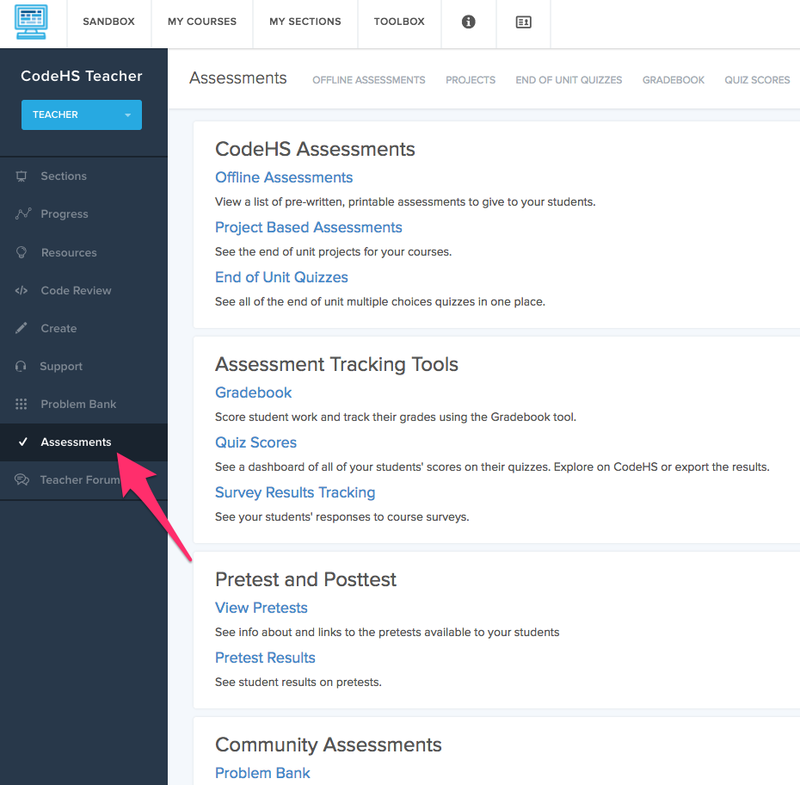 From that page you'll also have access to other offline assessments (like midterms and final exams), and tools to help you manage assessments for students. 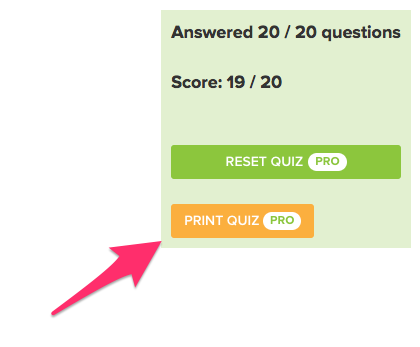 Once you're on a quiz page, you can click "Print Quiz". From there you'll have the option to print a paper copy, or save the quiz as a PDF or to Google Drive.